Hybrid cars are a great improvement over traditional vehicles in terms of increased fuel efficiency and decreased emissions. Many auto makers are focusing on the production of hybrid cars in response to the rising costs of fuel and the demand for more environmentally-friendly vehicles. But how do hybrid cars work and why are they beneficial? Keep reading to find out exactly how hybrid cars work and why they're able to improve fuel efficiency and reduce air pollution. Before you can understand how hybrid cars work, you need to understand what a hybrid vehicle is. Any vehicle that uses two or more sources of power that provide power can be considered a hybrid vehicle. In addition to hybrid cars, there are also hybrid buses, hybrid locomotives, and submarines. When you hear about hybrid vehicles on the news, however, you're most likely hearing about hybrid cars. Gasoline-powered cars are able to travel many miles before refueling is needed, and they are also able to travel rather quickly to keep up with the flow of traffic. The problem is, gasoline-powered cars aren't very fuel efficient and they also produce a high amount of pollution. Electric cars seemed to be the answer to this problem, but they can also go short distances before needing to be charged. Charging can be inconvenient and may take quite a long time, so electric cars were not a good solution for every day travel. Hybrid cars combine the best characteristics of gasoline-powered cars and electric cars all in one vehicle. How hybrid cars work depends on the type of hybrid car being used. In a parallel hybrid, the gasoline engine and electric engine can function to turn the transmission at the same time. 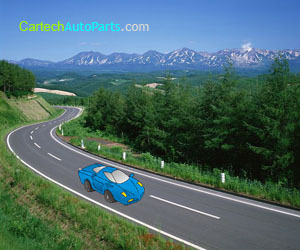 The car is then propelled when the transmission turns the wheels. In a series hybrid, the car is propelled a little differently. The gasoline engine doesn't power the car directly; instead, gasoline is used to turn a generator that produces electricity that turns the transmission. There are many benefits to using hybrid cars for both personal and commercial use. The two main benefits of using hybrid cars is that they improve fuel efficiency and they also reduce harmful emissions. In states where emissions testing is required, having a hybrid car can help reduce emissions to acceptable levels. The level of emissions produced actually depends on reducing fuel consumption, which is why hybrid cars are more environmentally-friendly than traditional vehicles. In traditional vehicles, carbon dioxide is produced along with other emissions. Because carbon dioxide is not regulated by the government, vehicles do not come with equipment that can reduce or eliminate carbon dioxide emissions. However, carbon dioxide is thought to contribute to the greenhouse effect that poses a real threat to the environment. With hybrid cars, emissions such as carbon dioxide can be reduced to levels that pose less of a threat. Manufacturing hybrid cars also benefits American companies that manufacture automobiles. While there is no requirement for a minimum fuel efficiency level per vehicle sold, there is a requirement related to the average miles per gallon of every vehicle sold. This average must be a minimum of 27.5 miles per gallon. Selling a hybrid car that gets 50 miles to the gallon gives auto makers the opportunity to sell less fuel efficient cars as long as the average miles per gallon of all sales is at least 27.5. While there are many benefits to owning hybrid cars, there are a few drawbacks. Hybrid cars are more expensive to purchase than many traditional vehicles. In addition, hybrid cars may be expensive to repair and maintain because of their electric motors and other specialized components. Hybrid cars are great vehicles overall. Once the price starts descending on these types of vehicles I presume they will become widely popular. I think most Americans shy away from them because of cost even though they are a lot more fuel-efficient.